Thanks for visiting our State Clock selection. 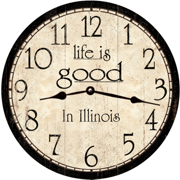 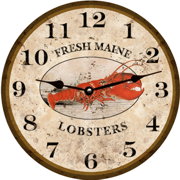 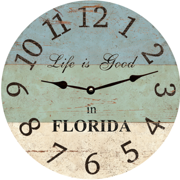 Life Is Good in all 50 states and these clocks are made in the USA. 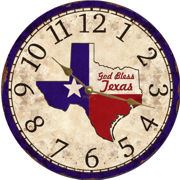 On this page you'll find a clock for each state in the USA! With a neutral contemporary crackle finish our State Clock blends with any home decor.